RIIOTTT comes in peace. 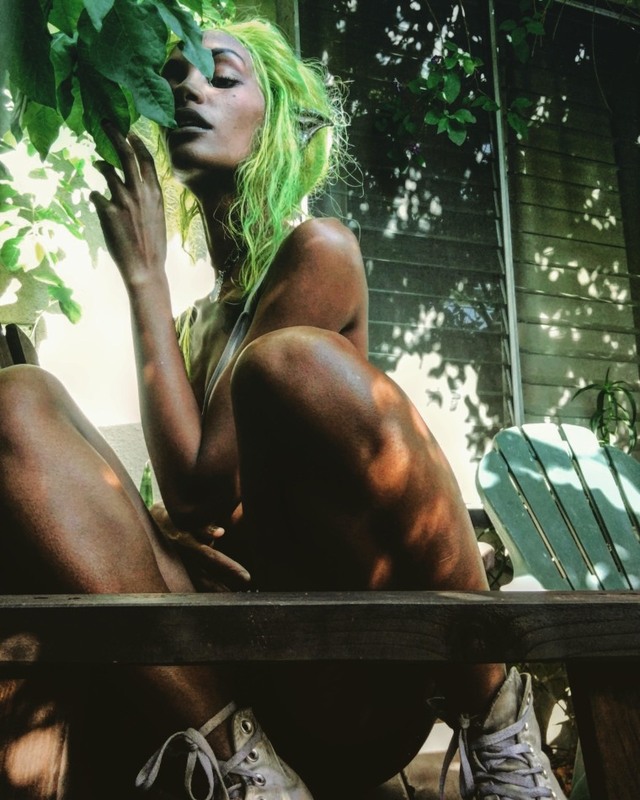 The Los Angeles singer is in a world of her own — her SoundCloud page says she's based on Planet No — and isn't afraid to make an imaginative soundtrack to go along with it. Her new song "Sky People," which is premiering on The FADER today, is a space-pop love song with dreamy vocals and fantastical production by SPACEBOY NEIL. RIIOTTT detailed the otherworldly origins of the track in an email to The FADER: "'Sky People' was created in my mind. It's about a young fairy that lives in space," she wrote. "She wants so badly to visit Earth and to see what humans are like. She takes the first spaceship down to Earth with a few fairy friends to discover and explore. Her mom doesn't want her going and thinks it's dangerous. She insists on going to Earth to finally meet humans — the experience is better than what she thought it would be. She falls in love, but then it's time to go back home to Planet No."